A clear and concise method of communication can be established with obedience training that teaches dogs what is expected while providing insight to the owner about what the dog is capable of. Obedience training can help to curb away problematic behaviors which are unacceptable. 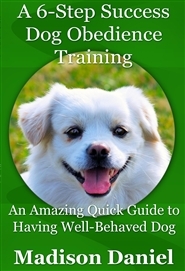 This quick guide will help you to take charge of being a dog owner and provide methods which are effective at instilling obedience and proper behavioral manners in a short period of time.